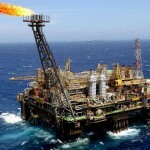 From April 22 to May 10, three executives of Rio Negócios, the city of Rio de Janeiro’s official investment agency, will do a roadshow to the United States, where they will meet with companies in the technology, oil and gas and reinsurance sectors. This is the fourth time that the agency sends a delegation to the country, which hosts 60% of companies that decided to invest in Rio since the agency’s inauguration in 2010. This time, Rio Negócios will visit the cities of San Francisco, New York and Houston. The team has scheduled 40 meetings and six major events, including the Offshore Technology Conference (OTC) in Houston, directed to the energy industry, and Techcrunch Disrupt in New York, focused on market-driven technology. The expectation is that after 18 days of roadshow it will be generated contacts with 95 companies. Rio Negócios’ team will visit co-working spaces, venture capital funds and companies in digital technology in Silicon Valley (San Francisco) and in New York, including Google, General Assembly, Foursquare, NYCseed, Valor Capital and World Wide Investors Network. There will be networking meetings for investors organized in partnership with BayBrazil – a nonprofit organization dedicated to facilitating business between Brazil and companies based in Silicon Valley – and with Silicon Valley Bank. The newly launched National Reinsurance Centre, when opened in 2015, will house the main players in one single place – a venture triple A, with 74,000 square meters and 450 parking spaces, in Cinelandia. Inspired by the model of London Underwriting Centre, the project is a partnership between Rio Negócios, Fenaber (National Federation of Reinsurance Companies), Jones Lang La Salle and Opportunity. In New York, there will be meetings with four companies that might invest in Rio. Aiming at the auctions for alternative energy sources, which will happen in the second semester, the executives will meet with 10 companies in the subsea and shale gas sectors. 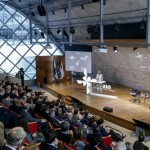 Rio Negócios will also be present at the OTC and at the annual meeting of WECP, the global network of cities with energy-driven economy, in which Rio was included in 2011. · Major projects: GE, Microsoft, Cisco, L’Oréal, Columbia University, EMC, BG, Rolls Royce, IBM, Oil & States, Nissan.